IMGUR is an Image sharing service. You can upload images throughout their service or even create memes. 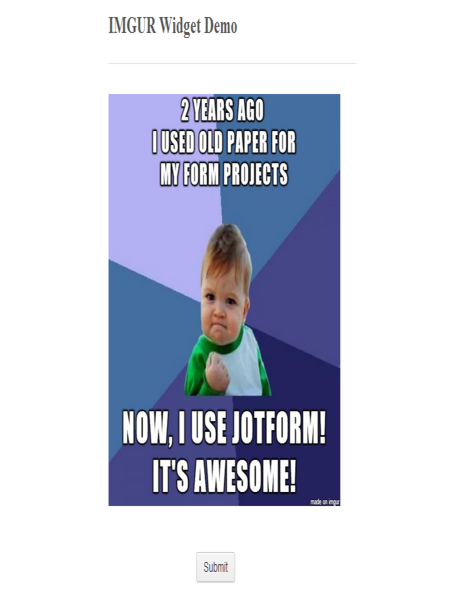 You can then share/embed this image to your form. 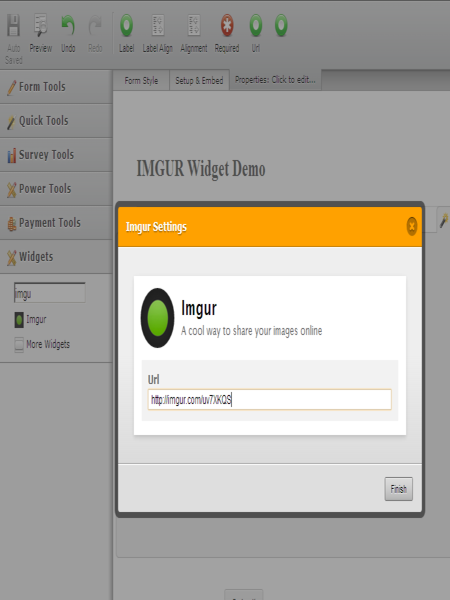 Here comes IMGUR Widget. This enables you to easily embed images from IMGUR to your form. 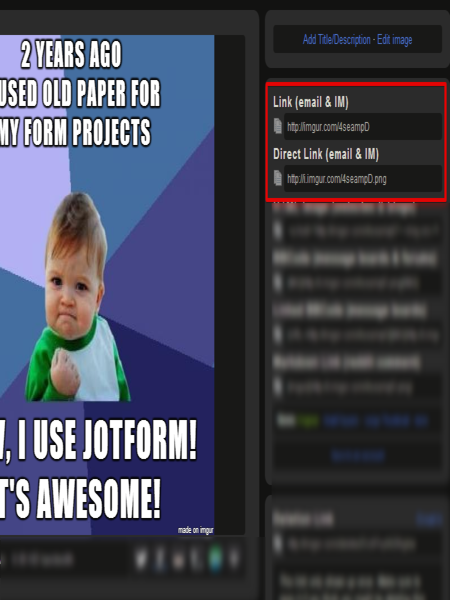 Just get your IMG direct URL or Image URL, paste it to this widget and viola! 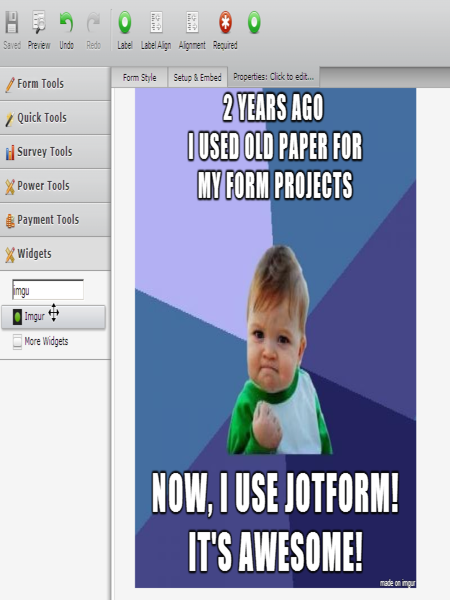 You have now the coolest form with fancy images from IMGUR.